I’ve bought a pair of Philips earphones (SHE 3600) 6 months ago and, because they use a weak adhesive material putting it on while manufacturing, the rubber cover of the left earphone dropped last week. Since it is impossible to wear the naked earphone because of the uncovered sharp edges after the rubber cover dropped, I’ve decided to call Philips for help. I thought that 2 years warranty Philips offered is still valid, why not use it? 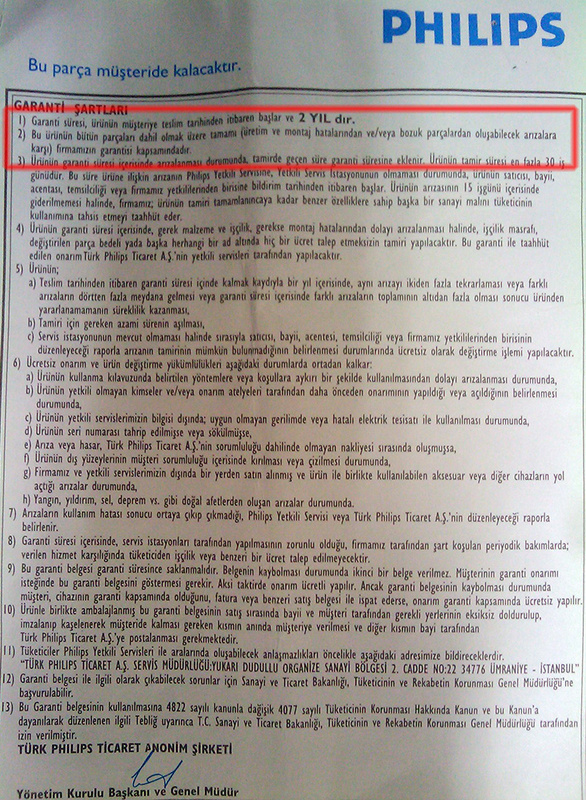 I called the toll free number written on the warranty and they gave me the number of the local service center. I told my problem to the Philips representative at the local service center. She told me that “because the dropped part is an accessory, Philips doesn’t produce any replacements for it”. After a few seconds of shock, I told her back; “How could this part is considered as an accessory? 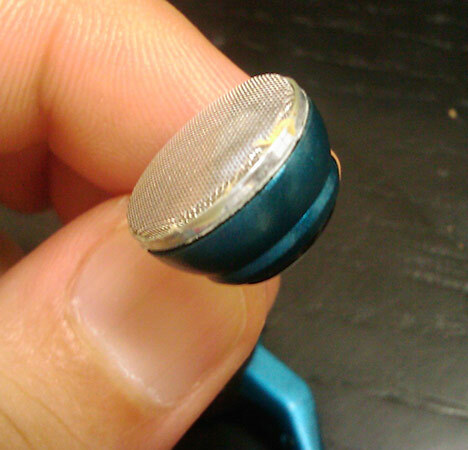 It’s impossible to use the earphone without it because of the underlying sharp edges. If it is preventing my usage with its absence, then it is obviously a necessary part for the functioning of the earphone!”. 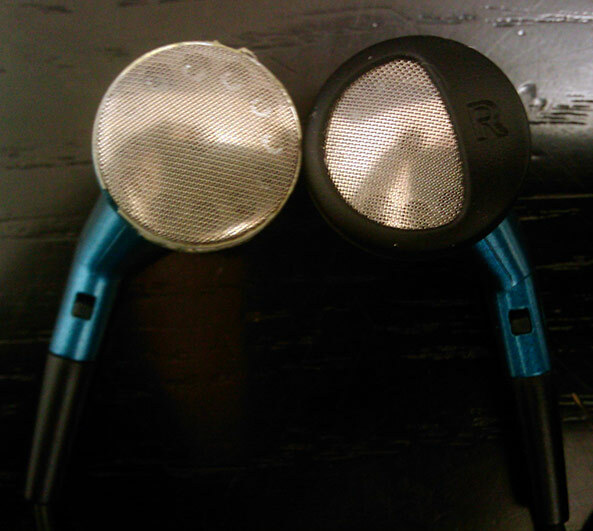 Then I told her that if they are not producing spares for this part, they should replace the earphones. She told me that they can’t replace the earphones unless the sound is problematic or there is no sound coming. After I felt the dead end, I left the service center and called the Philips customer care again, and told them her response to my problem. The lady on the line approved their approach to my problem and told me pretty much the same things. I told her that it’s written on the warranty that the “whole product, including all parts, is under warranty of Philips”. She told me that the warranty only covers “malfunctions”. Meaning; only sound complaints about the Phillips earphones are considered worth giving repairs or replacements under the warranty, according to Philips. I always believe that there are little or no differences between products of competing well-known consumer electronics brands and what makes a company “big” in its league is the customer support. I can understand not producing spares for a product which itself retails between $15-20. But, if you are offering 2 years warranty to that cheap-labored product, you must at least show the courtesy of offering new one instead of lowering your reputation, which doesn’t come easy.